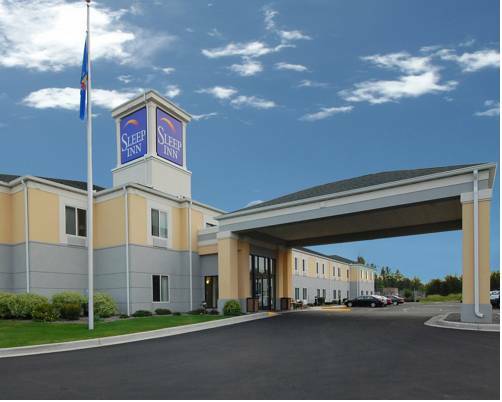 Dream better at our Sleep Inn and Suites hotel in Wisconsin Rapids, WI. Our smoke-free hotel is close to the Wisconsin Dairy State Cheese Company, Golden Sands Speedway, Rainbow Casino and Dyracuse Motorcycle Recreation Area. Each valued guest can enjoy our free breakfast, free WiFi, indoor heated pool, free weekday newspaper and laundry facility. Make yourself at home in one of our nature inspired rooms, all of which feature a TV, refrigerator, microwave, coffee maker and hair dryer. You can also sign up for our Choice Privileges program that can lead to free nights at our hotels. - S. Wood Co. Historical Mus. ~31 miles from Wisconsin Rapids.